Chapter 4 / Small-scale alternatives – is size important? 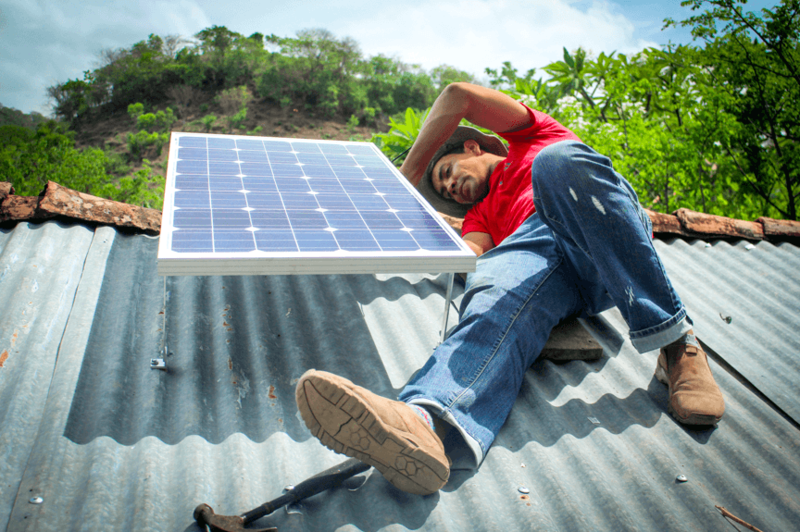 Photovoltaic projects, both large and small, are transforming the night in rural Nicaragua. Salvador Mansell, minister of energy and mines, also noted that the Sandinista government is prioritizing the installation of electric service on the Caribbean Coast. He also said that a new substation in Mulukuku will supply power to the North Caribbean Autonomous Region. “We are beginning a very broad program of electricity coverage in the Caribbean,” he said. “Two hundred kilometers of transmission lines have been built between Siuna and Puerto Cabezas (Bilwi), and 1,500 solar panels will be installed as well as several new substations.” In Tipitapa, near Managua, Canadian Solar has announced it will build the largest photovoltaic park in Nicaragua (3.1 megawatts) to serve the Franca Astro Free Trade Zone which is home to 26 companies. Two Nicaraguan banks are financing the project. On 22 February 2017, NicaNet (the Nicaragua Network) reported the following in its weekly blog (www.nicanet.org/). A report published by the French news agency AFP states that Nicaragua is carrying out a renewable energy revolution that is bringing electricity and prosperity to isolated rural communities in the country. 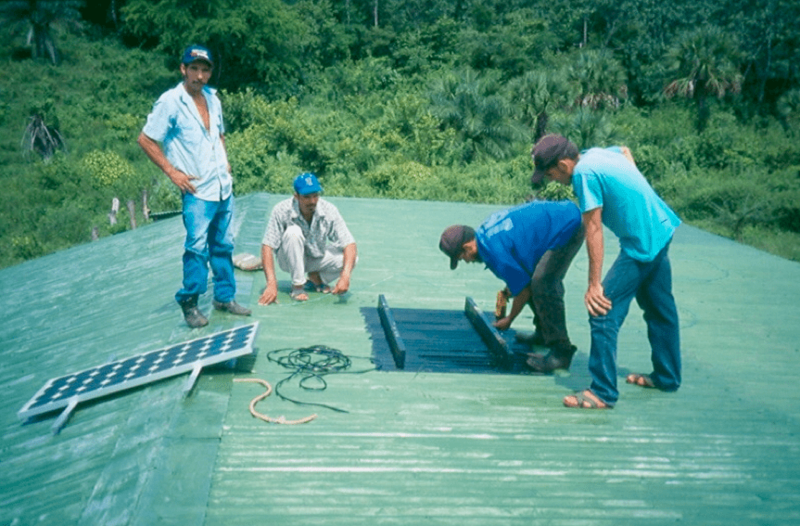 The AFP report noted that 1,500 solar panels have been installed in homes and schools on the Nicaraguan Caribbean coast, as well as 250 solar powered water pumping systems benefiting farmers in the Pacific dry corridor. Extracted from original text of Chapter 4. The problems mentioned there by Alida Spadafora [interview] are suitably illustrated in here giving an introduction to a series of HEP schemes currently under construction in the Bocas del Toro province in north-west Panamá. A 2006 report[i] presented a cost-benefit analysis of the four hydroelectric projects. The four dams (Chan 75, Chan 140, Chan 220 and Bonyic) are located in the Changuinola-Teribe hydrographic basin, three projects on the Changuinola River, and one on the Bonyic River. The rivers start in the Amistad National Park and the dams themselves are situated within the Palo Seco Protected Forest. The required investment for the dams would exceed $538 million, and would result in a combined installed capacity of 446 megawatts. The analysis estimated that the company executing the projects would earn approximately $87 million in yearly profits, which translated into an economic ‘net present value’ of $92 million, representing overall net benefits for Panama. The report concludes that “the projects would most likely be both economically and financially feasible. Nonetheless, they would cause environmental damage in an area of global conservation interest and impose serious hardship on indigenous communities living along these rivers.”[ii] Crucially, they note that these monetary values obscure the environmental and social impacts and costs that the projects would have. The specific case of one of these four dams, the Chan-75 HEP project, is worthy of further attention as it highlights the collusion of government and private companies and the gangster-like attitude adopted towards affected communities. Perhaps the body count resulting from this case of gangsterism is rather less than in many other case studies given in this book, but the arrogance and the willingness to ride roughshod over local people is as strong as ever. Here we present a few of the benefits and advantages of the scheme as predicted largely by the website of AES Changuinola, the company managing the project. Here we present a few of the social and environmental problems already caused and predicted to occur as a result of the scheme. The latter also lists several articles to which readers are referred for a more in-depth treatment that this case deserves. Several of these articles document the human rights abuses that have been committed against the Ngöbe and the Naso peoples in considerable detail, and in this regard the reader is referred specifically to Cultural Survival’s ‘Dam Nation’ article. These abuses are also considered again in Chapter 8 of this book and reference forward specifically to this website’s items entitled ‘The Ngöbe-Bugle and dam projects on the Río Changuinola‘ and ‘Testimony from the Naso‘ provides further evidence of the gangster attitudes of the Panamanian government and of the companies involved in the development towards the people affected. The issue of the Clean Development Mechanism and the issuing of carbon credits to dam projects is taken up again in greater detail in Chapter 10. [i] Cordero, S., Montenegro, R., Mafla, M., Burgués, I., and Reid, J. (2006) ‘Análisis de costo beneficio de cuatro proyectos hidroeléctricos en la cuenca Changuinola-Teribe’, INCAE Business School, Alianza para la Cooperación y el Desarrollo, Asociación ANAI, and the Conservation Strategy Fund (July). [iii] James Anaya (7 September 2009) Informe del Relator Especial sobre la situación de los derechos humanos y las libertades fundamentales de los indígenas: Observaciones sobre la situación de la comunidad Charco la Pava y otras comunidades afectadas por el proyecto hidroeléctrico Chan 75 (Panamá), Report presented to the Human Rights Council at the UN General Assembly. [v] Op.cit. (Finley-Brook and Thomas, p. 269. In January this year  the government of Belize voted to end all oil exploration in its waters. The policy is intended to protect the Belize Barrier Reef World Heritage Site, the world’s second largest coral reef after the Australian Barrier Reef. The reef is home to many endangered marine species such as hawksbill turtles, rays, various species of sharks and manatees. It is rarely acknowledged in the mainstream media, but the ban is in part due to extensive lobbying by environmental groups in Belize since as early as 2006. Significant amongst these groups has been the Belize Coalition to Save Our Natural Heritage. But the decision has also been widely welcomed by international organisations such as the World Wide Fund for Nature (WWF). Oil drilling puts at risk not just the marine biodiversity that is dependent on the reef, but also the country’s lucrative tourism industry which employs directly at least 25 per cent of the economically active population and indirectly and occasionally many more. Especially significant within the tourism industry is the dive sector which is dependent on the state of the reef. Belizean waters include three of the Caribbean’s four atolls: Lighthouse Reef; Glover’s Reef and the Turneffe Islands. Reef related tourism, fishing and other activities are estimated to have significant economic impact on a half of the country’s population. By contrast with Belize’s decision, also in January this year Donald Trump opened up nearly all US waters to oil drilling in a move cheered by the oil industry. The decision affects many areas previously protected on environmental and conservation grounds. Clearly his memory covers only a short time span which can be no great surprise – Deep Water Horizon in the Gulf of Mexico appears to have been forgotten already. 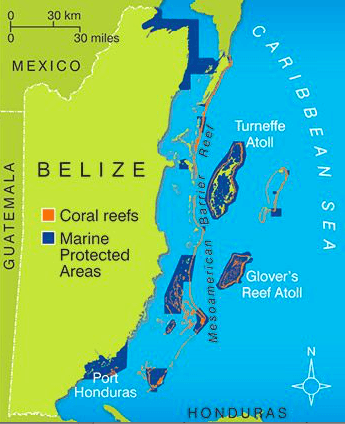 Graeme Green (13th January) ‘Belize bans oil activity to protect its barrier reef’, The Guardian. Candy Gónzalez (6th February 2018) Personal communication. I am grateful to the GHRC for permission to reproduce this report. Keywords: hydroelectric power in Honduras; Broad Movement for Dignity and Justice (MADJ); assassinations; Carlos Hernández; Victor Fernández; INGELSA Corporation; Council of Popular and Indigenous Organisations of Honduras (COPINH); Berta Cáceres; municipal referendum; criminalisation. The Broad Movement for Dignity and Justice (MADJ) of Honduras denounced the April 10, 2018 murder of lawyer Carlos Hernández. Hernández was the defence lawyer for Arnoldo Chacón, the mayor of the Honduran town of Arizona who is currently facing charges from a hydroelectric company. Chacón is committed to defending the results of a 2015 municipal referendum banning hydroelectric development in Arizona. In September 2017, Chacón told police that men had threatened the lives of those close to him if he continued to obstruct INGELSA corporation plans to build a dam on the Jilamito river. On March 12, 2018 four members of the MADJ and the Arizona Community Development Committee, Elena Gaitán, Tulio Laínez Gonzales, Julio Leíva Guzmán, and Claudio Ramírez Espinoza, sat in court in Tela, Atlántida, alongside the newly elected mayor of Arizona, Carlos Arnoldo Chacón, as a judge formalized criminal charges against them. They explained that they were defending their communities’ river against blatant corruption that affected Arizona’s water; as much as half of the population of Arizona face daily hardships stemming from a scarcity of water. Honduras’ most famous human rights advocate and environmentalist, Berta Cáceres, faced similar charges and narrowly escaped wrongful imprisonment in 2013, only to be murdered on March 2, 2016 after years of denouncing death threats by employees of the DESA hydroelectric company. Intense international pressure forced prosecutors to investigate her murder. Two years after gunmen stormed Berta Cáceres’ home near midnight and shot her beside her bed, the president of DESA was finally arrested. The five men and women charged May 12 are confronting a similar hydroelectric company operating in Arizona, this one called INGELSA. Yet another point Chacón and the other MADJ members have in common with Berta Cáceres is their lawyer, Victor Fernández. Fernández is a former public prosecutor and while president of the National Association of Prosecutors in 2008, he led a hunger strike denouncing corruption in the judicial system. This protest led to the creation of the Broad Movement for Dignity and Justice -MADJ, dedicated to defending rights of communities and fighting corruption in the judicial system. Fernández defended Berta Cáceres in 2013 and is currently prosecuting her killers on behalf of her family and her organisation the Council of Popular and Indigenous Organisations of Honduras (COPINH). Fernández is defending the five accused, but Chacón brought in another lawyer, Carlos Hernández, to support the case. 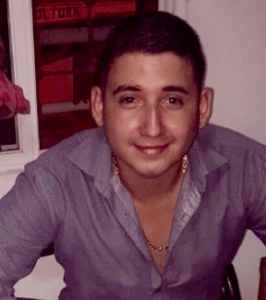 A former prosecutor, the young Hernández was shot dead in his office on April 10, 2018, less than a month after joining the defence team. Area residents fear his murder may have been an attempt by INGELSA to stop Arnoldo Chacón from saving the river for residents of Arizona. Just a few months before, on September 13, 2017, while Chacon was a candidate for mayor and a member of the municipal corporate council, he told police that he had received threats from men who identified themselves as speaking on behalf of the INGELSA company. According to Chacón, unknown individuals approached him. They wanted him to stop blocking the then mayor from illegally annulling the results of a 2015 municipal referendum which had rejected the construction of dams in Arizona. The hitmen explained that Chacón was INGELSA’s principal problem, and that if he didn’t allow the dams, they would have to kill him or people close to him. With INGELSA’s political influence they let him know they could also undertake an audit of the family business or other pressure tactics. Just a few weeks before, men dressed as soldiers had illegally entered Chacón’s brother’s home, which houses the family business, and searched it. Then on March 1, 2018 in an interview with Honduran press, Chacón reported that a local whistle-blower had told him a hitman who had been following him for weeks had been paid $6,500 to kill him. In 2015 after months of pressure, the then mayor of the township of Arizona, Adolfo Paguada, had agreed to convoke a municipal referendum about the possible construction of a 14.8 MW hydroelectric dam on the Jilamito River. It was convoked for 2pm on November 20, but neighbours denounced early that morning that Paguada brought 34 buses of people from neighbouring municipalities and held an illegal referendum in the morning. Despite the problems, municipal council members oversaw the 2pm referendum, in which townspeople overwhelmingly voted against dams in Arizona, which according to Honduran law made the results binding. The next day three legal complaints were filed against Paguada, but no investigation has occurred. The referendum made it impossible for the mayor to grant a construction license for the dam. Additionally, Honduran law requires the municipal council to review and approve mandatory environmental impact assessments before granting construction licenses. The municipal council never presented an environmental impact assessment. For both of these reasons, it was impossible for a construction license to be legally granted. Nonetheless, in January of 2017 INGELSA began construction of the dam. Desperate to preserve the water source for 16 communities and over 24,000 people, in May of 2017 the communities installed a permanent encampment along the road leading to the construction site. When INGELSA brought equipment to the area on May 29, neighbours did not let it pass. Arnoldo Chacón and the Arizona community development committee attempted to dialogue with the company, which could not present the construction license. Many formal complaints against INGELSA and former mayor Paguada were filed and never prosecuted, however malicious prosecution of community leaders and the mayoral candidate advanced quickly. Today, those community members have been charged with criminal usurpation of the State of Honduras’ road, while the 24,000 people who stand to lose potable water have yet to see a license for the construction and environmental defenders fear for their lives and for the life of their remaining lawyer, Victor Fernández. 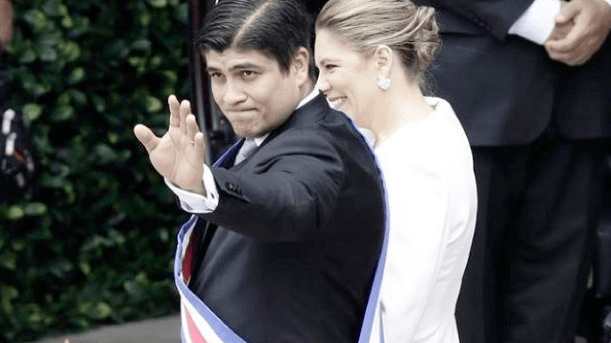 In May this year , Carlos Alvarado Quesada of the centre-left Citizens’ Action Party (PAC) was elected President of Costa Rica. Before becoming President, Alvarado was a journalist, writer and political scientist who had studied at the University of Costa Rica and later at the University of Sussex where he gained a Masters in Development Studies. There is no doubt that Alvarado is keen to pursue and promote environmental initiatives, but the task of turning the country into what he calls “the world’s decarbonisation laboratory” will not be an easy one. As an article in ENCA 69 (March 2017, ‘Costa Rica’s environmental reputation’) pointed out, although the country produces well over 90% of its electrical energy without the use of fossil fuels, around 70% of that energy comes from hydro-electricity generated from large-scale dams, whose environmental credentials are increasingly questioned. Also the Costa Rican transport sector has generated growing use of fossil fuels as a result of the growth in car ownership and use in recent years, with so far few signs of a willingness to switch to electric vehicles. It will be interesting to watch the statistics of Costa Rica’s fossil fuel use during the period of his presidency. It may sometimes be difficult to see the link between the tortillas served with your meals in Managua and the floods that frequently occur in the city, but it exists. Tortillas in Managua are cooked over firewood from the higher zones of the city and neighbouring municipalities such as Tipitapa which is one of the most deforested in the country. Jaime Incer Barquero, president of Fundenic SOS and a former Minister of the Environment and Natural Resources, never tires of pointing out the contradiction to the people in the higher zones of Managua: “In the mornings they go down to the city with their carts full of firewood, and later they return with water.” Incer points out that these people do not have any water because they are felling their trees for firewood which they sell in order to buy water. If they didn’t fell their trees, their water sources would still be viable and they could save themselves the journey. Jaime Incer Barquero cited in ‘La leña causa serios daños colaterales’, in La Prensa, Managua, 6 March 2011. 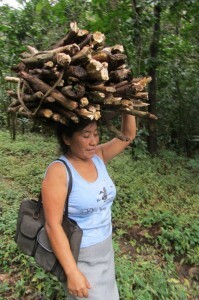 Nicaragua News (8 March 2011) ‘Firewood cooking has many consequences’, Nicaragua News Service, Managua. In 2008, environmentalists in Costa Rica successfully campaigned against a proposed law which would allow the state-owned electricity company (ICE) to explore geothermal energy within national parks. The proposed law would have allowed ICE to explore for geothermal energy within national parks without conducting an environmental impact study. The cost of such exploration would be a portion of the sales of electricity dedicated to the national parks system. ICE president Pedro Pablo Quirós has estimated that there is a potential of 800 MW of geothermal energy in the area from the Poás Volcano north to the frontier with Nicaragua, but much of this area is protected against development. Quirós has continued to push the Legislative Assembly to modify the existing legislation to allow exploration and investigation of geothermal energy within the parks. President of the Costa Rican Wildlife Preservation Association (APREFLOFAS) Angeline Morín, on the other hand, declared her organisation’s opposition to the opening up of national parks for any purposes. She is particularly concerned about the effect of the development on wildlife and she supports other alternatives such as wind and solar power in place of geothermal energy. Quirós claims that the ICE is the country’s largest investor in reforestation and that around the Miravalles geothermal plant (Costa Rica’s most productive geothermal power plant) there wasn’t a single tree when the plant was first developed. Now it is completely reforested. Central America Data (13 July 2009) ‘No to Geothermal Energy in Costa Rica’, http://en.centralamericadata.com/en/article/home/No-to_Geothermal_Energy_in _Costa_Rica (accessed 18.07.11). NotiCen writers (12 March 2009) ‘Clean but not green: geothermal developers in Costa Rica at odds with environmentalists’, http://repository.unm.edu/handle/1928/11022 (accessed 08.07.11). Daniel Zueras (12 July 2011) ‘Costa Rica Invests in Geothermal Power Generation’, Tierramérica, www.tierramerica.info/nota.php?lang=eng&idnews=3008 (accessed 12.07.11). The Tico Times (7 August 2009) ‘Taking a Giant Leap Toward Energy Independence’, Editorial, The Tico Times, San José, Costa Rica. By Arthur Neslen in Brussels, Thursday 26th March 2015. The following is a link to a March 2015 article in The Guardian (London) regarding plans for the San Rita dam in Guatemala, carbon credits for which will be tradable under the EU’s emissions trading scheme. (c) Guardian News & Media Ltd. In September 2000 plans to bring wind power to Nicaragua were scuppered by the Inter-American Development Bank (IDB) which blocked the Spanish company IBERDROLA from providing this renewable resource. The reason was that the value of the soon-to-be privatised national power company ENEL, would be significantly lowered, since the Spanish company would be able to provide substantially cheaper rates of power than ENEL. The foreign companies bidding to buy ENEL would therefore be allowed to continue to generate power, and pollution, from oil in old facilities which are constantly at risk of breakdown. IDB officials threatened the Nicaraguan government with the stoppage of all IDB support should they proceed with the IBERDROLA deal. This was almost universally seen as a direct violation of Nicaraguan sovereignty. Despite strong opposition, however, the Nicaraguan government continued to privatise ENEL and agreed that a contract with the Spanish energy company would have negative impacts on the privatisation. Outwardly, there were powerful interests which did not wish to see the conversion of an energy source that would liberate a country like Nicaragua from spending its scarce foreign exchange resources on importing petroleum to burn in inefficient and pollution-causing power stations. Environmental Network for Central America (ENCA) (February 2001) ‘IDB blocks wind power in Nicaragua’, ENCA Newsletter No.28, pp.6-7. Nicaragua Solidarity Campaign (NSC) (Sept 2000) Eco-Alert correspondence, ‘Inter-American Development Bank Blocks Wind-Power in Nicaragua’, nsc@nicaraguasc.org.uk. In 2005 Belize also became an oil producing nation and Belize Natural Energy Ltd (a US company) was formed to exploit it. Despite the fact that it has no refining capacity and therefore has to continue importing all its oil requirements, for a small country like Belize the chance to provide all its own energy from sources within the country is obviously enticing; and as usual the websites of the oil companies involved all display their commitment to environmental responsibility. There is no difficulty, however, in finding Belizeans who oppose oil drilling and who believe that their country can still provide all its energy requirements from within its borders without oil. APAMO (Association of Protected Areas Management Organisations), for instance, is an umbrella group of NGOs involved in managing Belizean protected areas and has called for a total ban on offshore oil exploration after a map showing oil concession areas was leaked to the press. SATIIM (Sarstoon Temash Institute for Indigenous Management) also expressed their concern to the government about oil development and are calling for a referendum on the issue.